Airport transfers from Coventry to East Midlands – Great Choice for Busy Business Professionals For most business men and women, they always need to get to the airport for early morning flights. Sadly. they end up disappointed when they found out that the taxi they booked has let them down. While it doesn’t mean that every taxi service is bad. their business doesn’t solely rely on having repeat customers. There are instances when they are late or they failed to turn up at all. For those who are searching for dependable airport transfers from coventry to east midlands, the best choice that you’ve got is to find the best taxi service. Hiring a registered taxi service provider for your airport transfers and business travels can make every business person enjoy a lot of benefits. Airport transfers from Coventry to East Midlands have Some of these advantages include the following: Airport Taxi Services are More Reliable and Offer Time Savings. Dependable taxi services count on repeat business and regular customers. It means that you can count on them to turn up right on time and ensure that they will take you to where you need to go according to your schedule. It is obviously very important for air transfers wherein being late can mean missing your flight. Surely, no one wants to go through this hassle. Our Professional Drivers to Meet You at the Airport and Carry Your Luggage. Probably among the best benefits of going for a professional Airport Taxi Service is that they have Chauffeurs who will meet you inside the airport and offer assistance in carrying your luggage to the car. Gone are the days when you have to wait behind long airport queues just to get on a Taxi and go to your destination. Costs are Known and Controlled There is no way for you to know how much a taxi will cost when you just hailed one on the streets so there might be issues as far as cost management is concerned. Also, taxis have to be paid right on the spot that can be a big problem if you run out of cash and their card machine has broken down. When you book for a taxi service in advance, you will get an invoice or even an account if you are already a regular customer so that you will know how much the journey from Coventry to east midlands airport is. Arrive in Comfort and Style. The last but definitely not the least of all benefits of taxi services is that these companies make use of only the finest and the latest cars. You can look forward to that sophisticated experience of getting off the plane at the airport then sinking to a nice and comfortable leather chair while you travel to your hotel or destination. With this, you know that you will arrive refreshed and relaxed right on time for any business meeting. 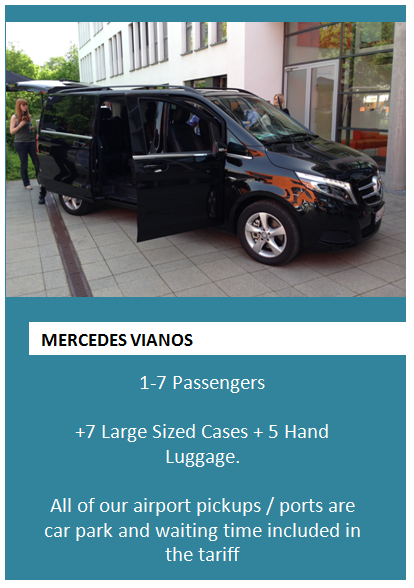 Don’t take risks when it comes to airport transfers. Choose the most reliable Airport transfers from Coventry to East Midlands in class and convenience.